5 Nepalese Hindu women offer prayers as they get ready to take a holy dip in Bagmati River during the Madhav Narayan festival in Kathmandu, Nepal. 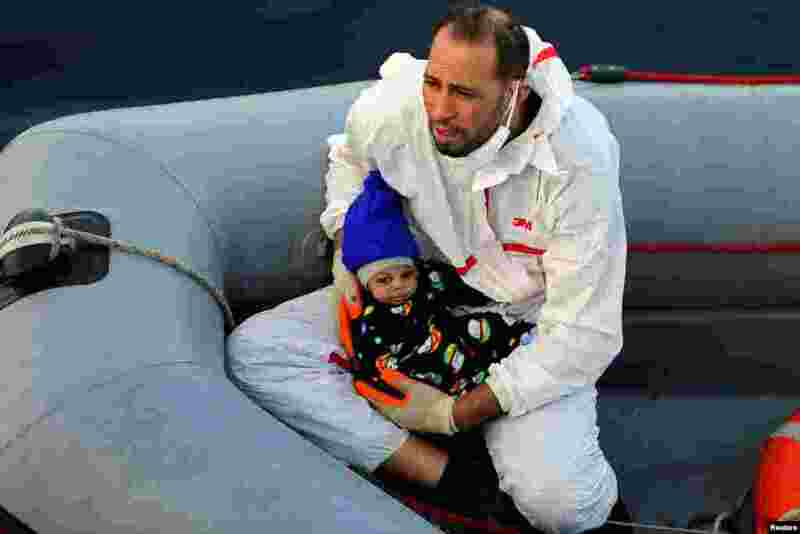 6 A member of a rescue team carries a migrant baby after the infant was rescued by the Libyan coast guard in the Mediterranean Sea, Jan. 15, 2018. 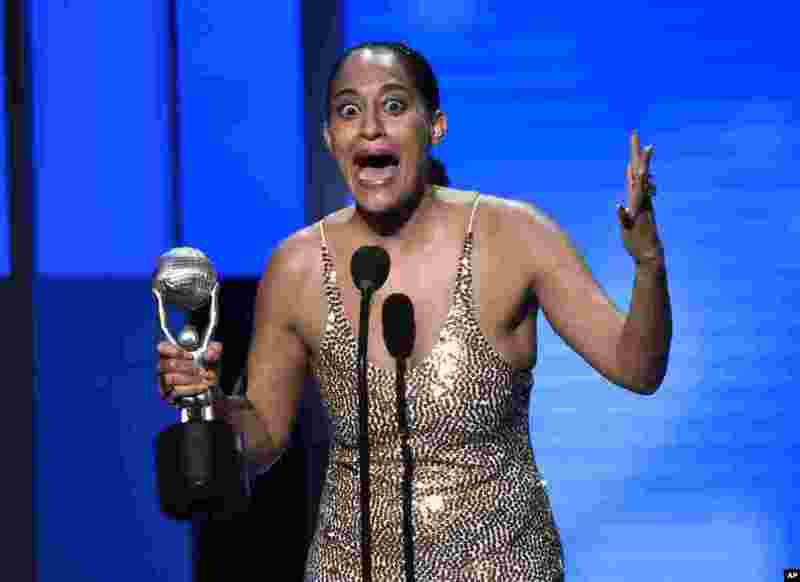 7 Tracee Ellis Ross accepts the award for outstanding actress in a comedy series for "Black-ish," at the 49th annual NAACP Image Awards at the Pasadena Civic Auditorium in Pasadena, California, Jan. 15, 2018. 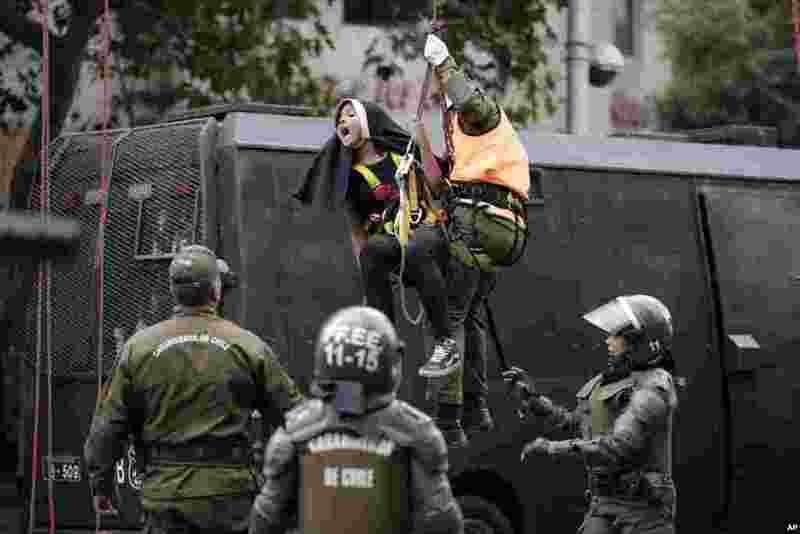 8 An activist dressed as a nun is lowered by a police officer, and detained, after she and other protesters placed a pro-abortion banner above a road near Pope Francis' expected route, before the pontiff's arrival in Santiago, Chile, Jan. 15, 2018.